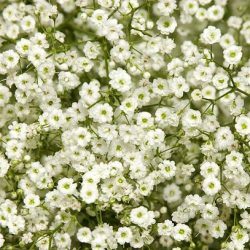 No flower arrangement is complete without a touch of baby’s breath – gypsophilia. 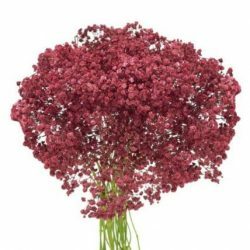 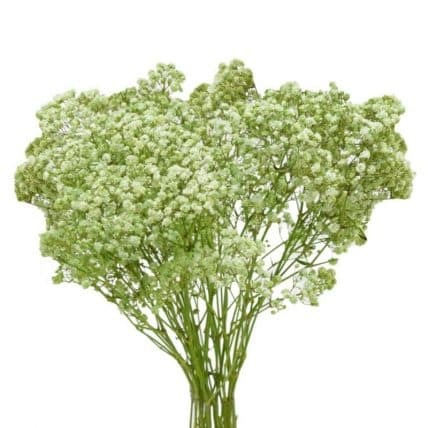 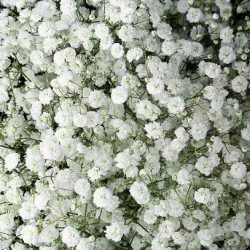 The small blossoms are the perfect accent flower for including in your classic or rustic floral decorations. 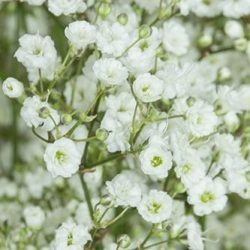 Use baby’s breath in combination with garden roses, peonies or other focal flowers to add a finish look to your flower arrangements. 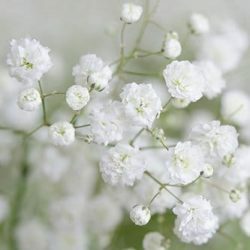 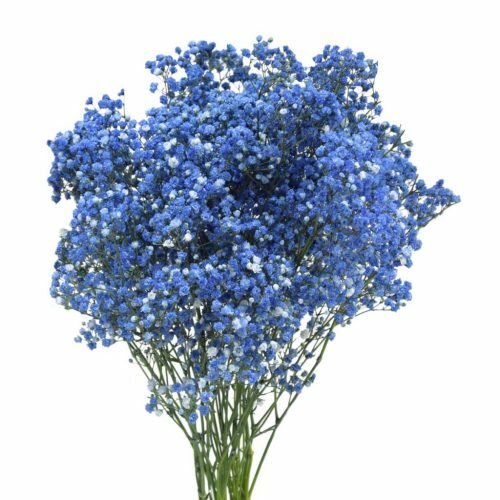 Baby’s breath will also look great alone in small mason jars or simple to make white cloud like bouquets, just add your favorite color ribbon.